chronicling the lives and loves of independent women, from the 1920s to now. The reason why I will always love this outfit from the Céline 2015 resort collection is because it is just so much fun. Take that silk crepe blouse for instance. Those billowing sleeves and minstrel-sized buttons belong to a woman who speaks with her hands. The crystal earrings in the shape of pizza slices are sleek yet perfectly bonkers. And the shoes, well, you can’t see them too well here but look at them on the Céline site. See, fun! If there was a defining point in 2014 where it seemed things were not quite going to plan it was probably a rainy weekend in Autumn. I was mourning the remains of my favourite silk shirt, ripped beyond repair by reaching over too enthusiastically at a breakfast buffet whilst simultaneously giving the evil stare to the ‘old faithful’ black skinny jeans that no longer fit. This particularly stellar afternoon came only a couple of days after being unceremoniously dumped in Green Park. So, not great. But that was one bad weekend. And whilst the jeans still require a pulley system of Roman ingenuity to get them on and the romantic situation remains relatively unchanged there were some absolutely amazing highlights that I definitely wouldn’t change. Apart from the jeans thing, probably. 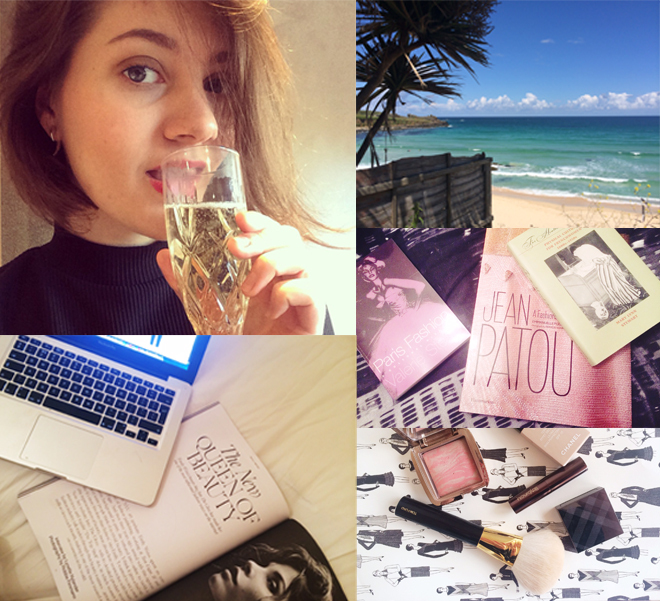 There was Paris and its offering of fine baked goods in the winter sun, St. Ives doing its best impression of Barbados and an unforgettable meal in the plushy pink paradise that is Sketch. It saw my addiction to barbecued meat, candles and trainers explode tenfold and an already-strained book storage situation reach crisis point. In the wider world, the visionary that is Emily Weiss came and blew us all away with the launch of Glossier and one of the best, if not the best, essays on the internet this year. Us by David Nicholls made me cry tears of joy and ‘Horst: Photographer of Style’ at the V&A made for the best trip to a museum. But perhaps the most amazing thing about 2014 was the wonderful women that I had the pleasure of speaking with and learning from; most notably Penny Martin at a Gentlewoman event Ella Woodward at one of her Deliciously Ella events. And of course, the dozens of WhatsApp messages and emails to Holly, Christina and Marzena. It also introduced me to more of you, so THANK YOU for reading this thing and to all the endlessly fascinating individuals I have come to know over the last twelve months. You are the incredible women that inspire me every day to keep pushing forward. ‘Smack that, clap, clap, clap like you don’t care’. 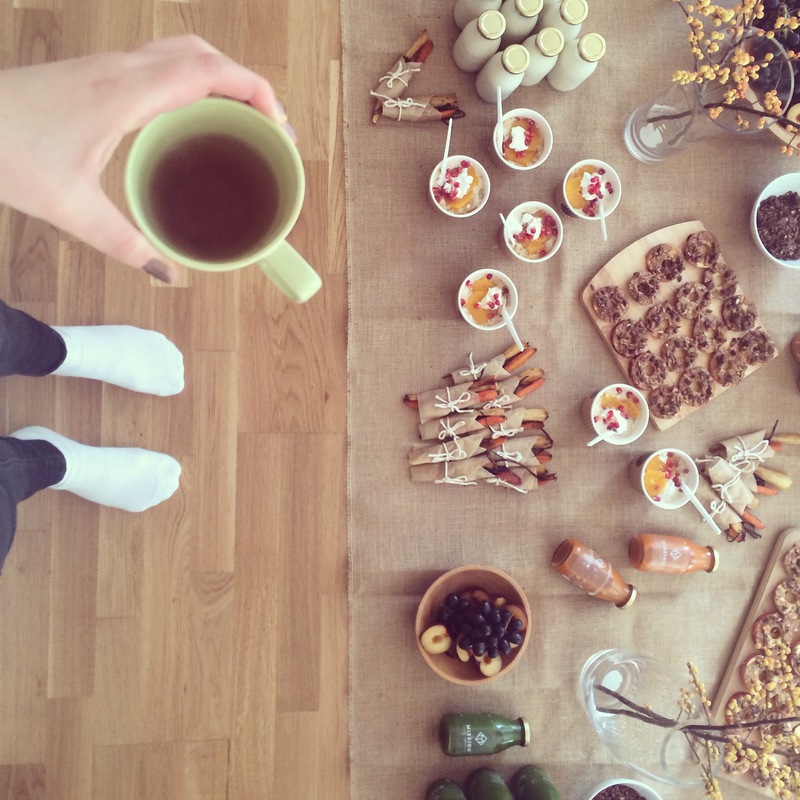 A Yoga Brunch with Deliciously Ella. Let it be said, I am generally not the sort of girl to get excited about volunteering herself for exercise. Five years of compulsory school sports days saw me assigned that-most attractive of events: shot put. An ordeal so ridiculous (and painful) it scared me off all sports for life. A civilised morning of yoga with a healthy brunch thrown in though? That’s an idea I can get on board with. The morning was hosted by Ella Woodward, babest of babes and the founder of healthy-eating super blog Deliciously Ella. So, buoyed with an enthusiasm for yoga I have experienced frankly never, I strolled into the idyllic South Kensington mews where Evolve Yoga is situated, got into my yoga gear (last appearance: 2011) and supped on two cups of Pukka ‘Revitalise’ tea and a home-made energy ball before 75 minutes on the mat. Selda, our instructor, was really amazing and even though I was the only one of twenty to crash to the ground during their downward dog I still ended up feeling as zen as Angela Lansbury in ‘Positive Moves’. Result! The brunch afterwards was where things got super delicious with 26grains providing the almond milk porridge with pomegranate and coconut yoghurt, apple with cacao-dusted nuts and seeds and roasted root vegetables and Mission bringing along a host of juices. 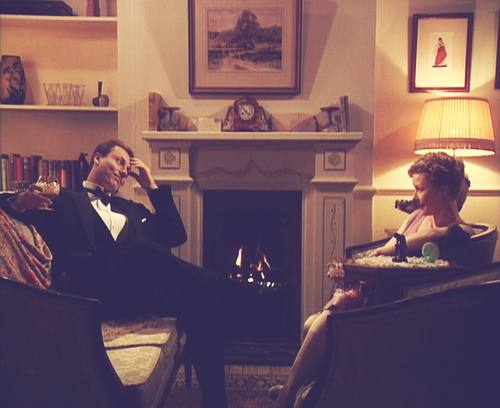 It seems absolutely ludicrous that I haven’t posted on House of Eliott before. 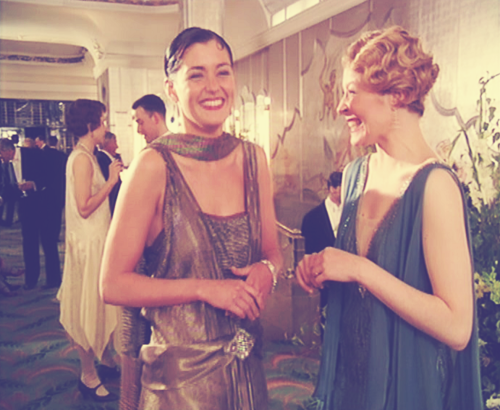 I mean, it was an entire BBC series set in 1920s London that focused on a burgeoning fictional couture house. In the history of broadcasting has there been a better concept for any programme, EVER? It’s got everything you could hope for: love triangles, men in braces, casual references to Gazette du Bon Ton and, in the second series, a sojourn to Paris. Stick a fork in me, I’m done. The great news is that all three series are available to watch on YouTube so you can binge until you can binge no more. I strongly recommend you do as I did and take a week to watch the lot in one, glorious sitting. At the end of it you will almost certainly finish every phone call and text conversation with ‘good day’. Some things I learnt by re-watching a few episodes this weekend: firstly, that my life is utterly substandard for not owning a selection of antique silk kimonos to merrily laze around the house in and secondly, that 1920s daywear was absolutely unbeatable. The images above are just a tiny selection of the incredible ensembles worn by the two Eliott sisters, Bea and Evie, on their journey towards becoming famed couturiers. 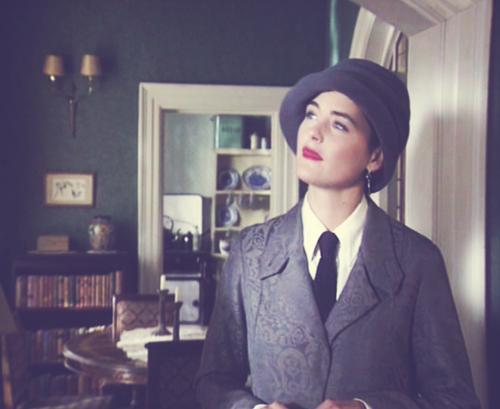 My favourite outfits are generally those worn by Evie; the younger, slightly sportier sister with a killer taste in knitwear and a penchant for waistcoats and ties. It is the daywear of dreams.